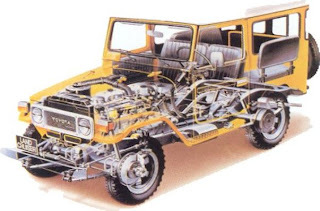 Free download vehicle manual of installation of 4X4 in Toyota land cruiser FJ40. This manual is step by step guide and helps you in installing 4X4in FJ40. A floor jack is necessary in installing 4X4 in FJ 40. click below link to download absolutely Free.